We Will Match all competitor prices and will provide a better service. We like to charge what's right. We offer an excellent and friendly service that accommodates to your specific needs. A call or e-mail away. 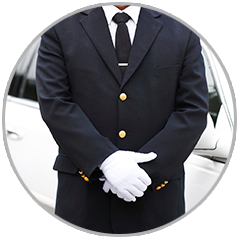 To provide a professional discrete, personal chauffeur service. We offer reliability and professionalism to you, your family, or business partners. We offer a variety of vehicles from Large passenger Vans to Smaller vehicles to accommodate and transport you safely and comfortably.